Peter Krause’s research and teaching focus on international security, Middle East politics, terrorism and political violence, and national movements. His book Rebel Power: Why National Movements Compete, Fight, and Win was just published in the Cornell Studies in Security Affairs series with Cornell University Press. His co-edited volume Coercion: The Power to Hurt in International Politics is forthcoming with Oxford University Press. He has previously published or forthcoming articles on the causes and effectiveness of terrorism and political violence, social movements and territorial control, U.S. intervention in the Syrian civil war, the politics of division within the Palestinian national movement, the war of ideas in the Middle East, and a reassessment of U.S. operations at Tora Bora in 2001. Krause has conducted extensive fieldwork throughout the Middle East. He has offered his analysis of Middle East politics, political violence, and the Boston Marathon attacks in the Pentagon and on Capitol Hill, as well as with national and local media, including CNN, MSNBC, NECN, and the Boston affiliates of Fox, NBC, ABC, and CBS. 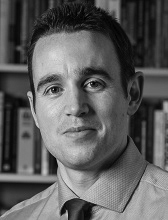 Krause is a faculty associate in the International Studies Program and the Islamic Civilization and Societies Program at Boston College, as well as a research affiliate with the MIT Security Studies Program. He was formerly a Research Fellow at the Crown Center for Middle East Studies of Brandeis University, as well as a Research Fellow at the Belfer Center for Science and International Affairs of the Harvard Kennedy School.